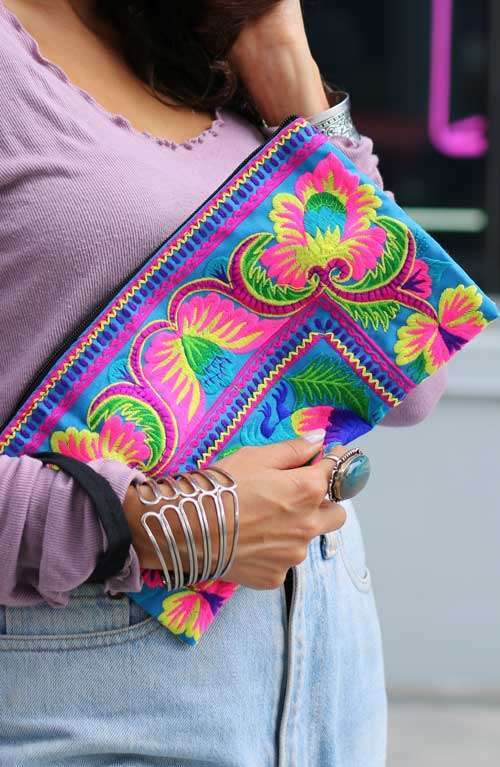 A women's bohemian purse handmade in Thailand. 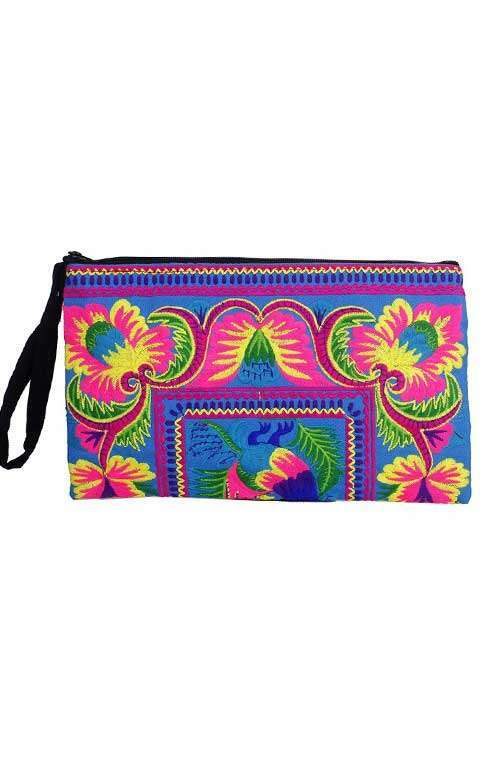 This gorgeous embroidered women's wristlet is so beautifully bright with it's hill tribe inspired fabric. 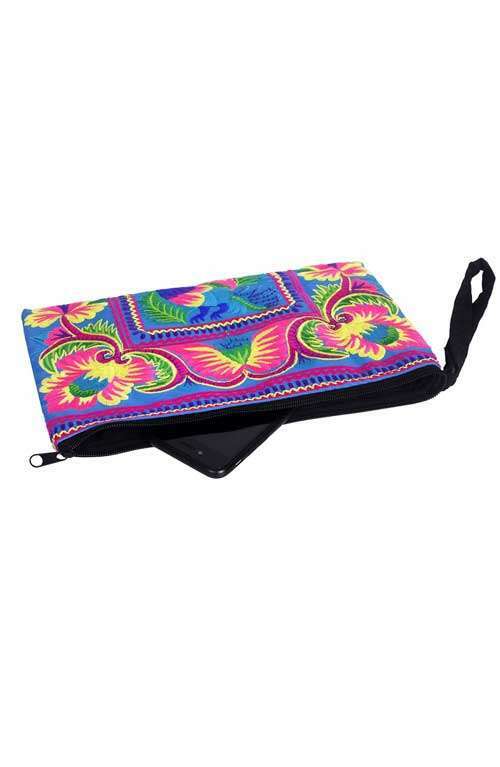 This boho purse features a zip top opening and has black cotton lining in the inside with a zippered pocket. 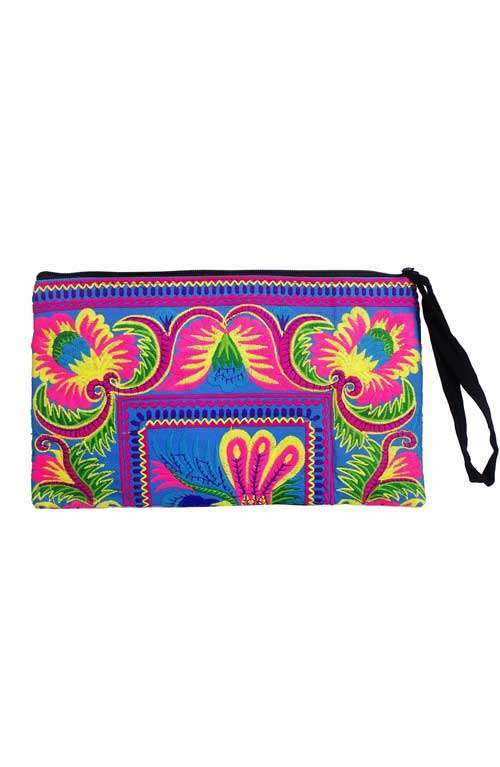 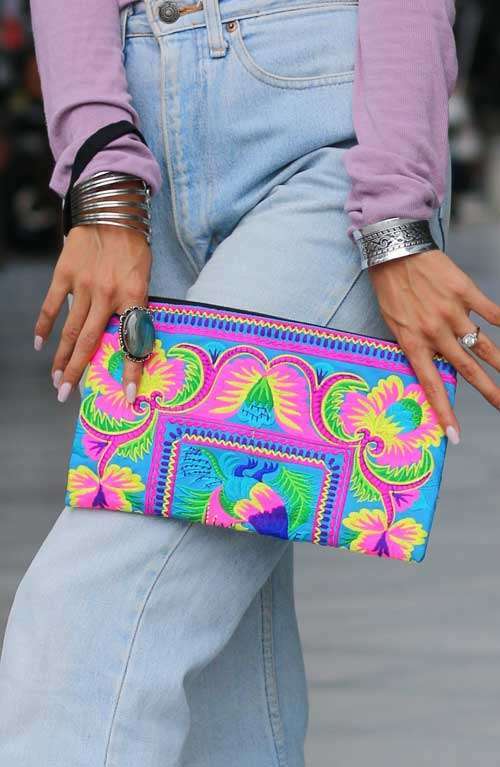 The bohemian wristlet is the perfect accessory to brighten up any outfit.